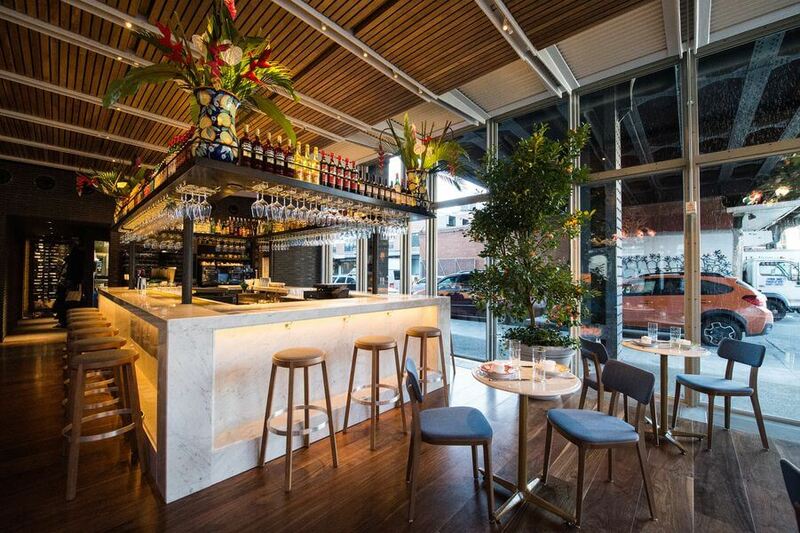 Santina is a coastal Italian restaurant created by Mario Carbone, Rich Torrisi and Jeff Zalaznick. Situated on what used to be the coast of Manhattan, where some of the city’s first farmers markets once stood., Santina takes inspiration from the neighborhood’s history with a menu that highlights vegetables and fish. Dishes like giardinia crudite, spaghetti blue crab and bass arigento integrate Italian coastal cuisine with modern culinary sensibilities. Santina is located underneath the Gansevoort entrance to The High Line Park in a structure designed by renowned architect Renzo Piano.